Rooney | I Don't Stink! Currently viewing the tag: "Rooney"
Rooney asked me this morning to post a picture of her with her decked out in her soccer (er, football) equipment. Football is her favorite sport and loves to use her nose to kick the ball around. 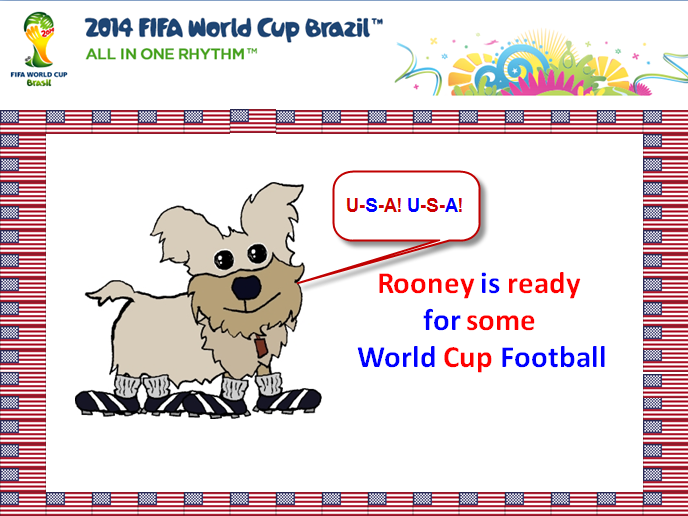 Enjoy the FIFA World Cup 2014! I know Rooney will.